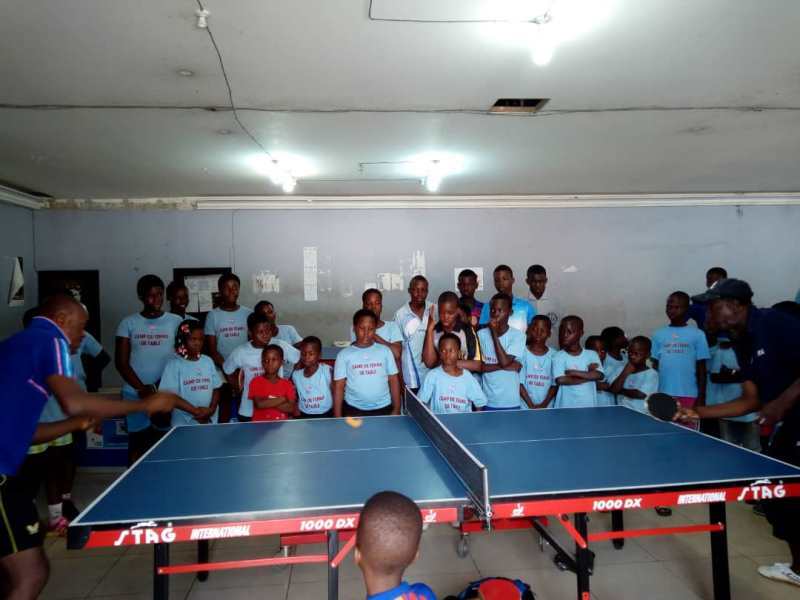 For seven days, the Youth Centre in Cotonou, the Benin Republic capital hosted 50 boys and girls for a table tennis camp with the sole aim of igniting the interest of the youngsters in table tennis. The camp according to the President of Beninese Table Tennis Federation (BTTF), Ferdinand Sounou was organised by the federation in collaboration with an NGO – Hope by Sports. From August 31 to September 6, the youngsters aged from seven to 15 were taken through the basics of table tennis by three trainers: Wilson Lionel Gbian, Dine Wakilou, and Monday Olabiyi, who just returned from China after two years of training). According to a Cotonou-based online medium – lespharaons.com, the initiative according to Ferdinand Sounou, was aimed at teaching the children the fundamental of the sport in a bid to spur their interest. “This is the perfect opportunity for children to discover racket for the first time and receive the fundamentals to become great table tennis players. The goal of the camp is to give the desire to play table tennis to children under 15 by their initiation, and improve technical gestures of those who already practice to make them perform. As for children, they did not ask themselves to give the best of themselves. According to Dine Wakilou, the children showed a good assimilation capacity. “They are young table tennis players who play well and who try to show willingness to learn,” he hinted. “We will try to put them on the same level. That’s the goal of our camp, “he said. In addition, Ferdinand Sounou invited parents with children of this age to introduce them to the fundamentals of table tennis. “When an area emits the idea of such training, the federation will accompany it for the realization,” he said.